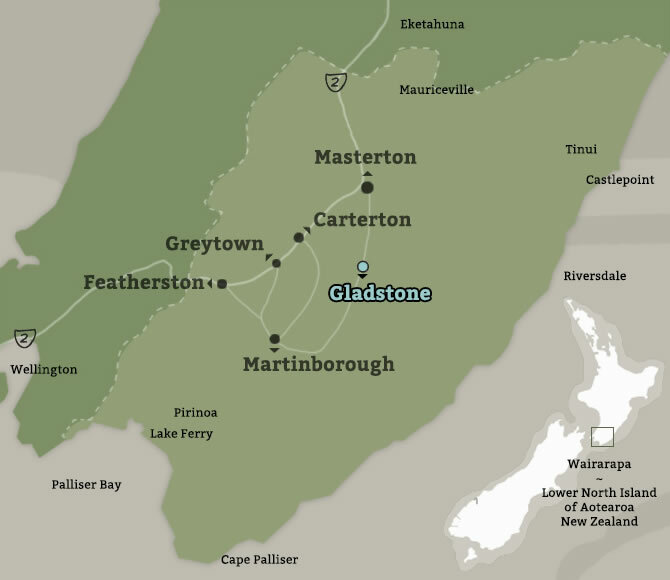 Gladstone is 10 minutes drive south-east of Carterton. 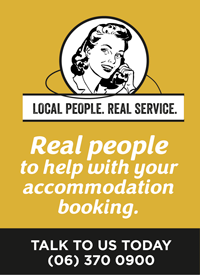 Head out on Park Road at the central roundabout in Carterton, or if you're a bit north at Clareville, look for Francis Line; both will get you to Gladstone Road and on to Gladstone. You can also head south from Masterton via Johnstone Street which turns into Te Whiti Road, and you'll reach Gladstone in 15 minutes. You have the option of continuing on at some point as Te Whiti Road becomes the Masterton-Martinborough Road; another 25 minutes of easy driving through lovely farmland and rolling hills brings you to (perhaps not surprisingly)... Martinborough. 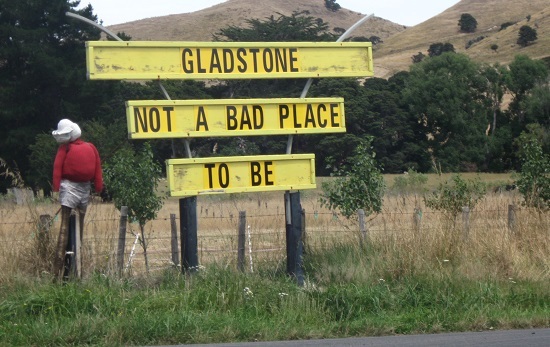 And if that's where you started, we'll even let you head in the reverse direction to Gladstone; Wairarapa folk are known for their easy-going nature.